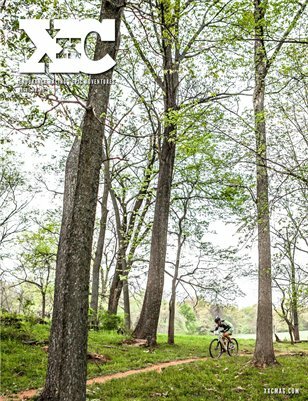 XXC Magazine #16 features photo and stories from the Spa City 6 Hour, the Barry-Roubaix and the 155 mile AntiEpic gravel road race. Heidi Volpe talks with some of the riders who attended the 3 day training camp/ride binge known as Camp Lynda and writer James Murren takes us mountain biking in Guanacaste, the "desert" of Costa Rica. Regular contributor Eszter Horanyi talks about the agony and the ecstasy that can be found in a canceled race, Christopher Tassava ponders "Why Gravel?" and coach Lynda Wallenfels gives us some tips on how to stay sane during multi-day solo bikepack races. For more news, photos, podcasts and coverage from the world of endurance mountain biking, as well as some swank merchandice, visit xxcmag.com today!